Happy New Year! I hope you all had an incredible NYE. I sure did, it’ll definitely be one to remember. 2017 went by so fast and we’re now officially in the first month of 2018 and you know how we do, every first day of the month here on JustBeCherry we do a giveaway! I thought that the Instax Mini 8 would be a nice one this go around. I myself love my Instax Mini 8! It’s great for capturing special moments plus it’s a light weight camera that doesn’t require much expertise. Great for beginners but also a fun form of artistic expression for those who are a bit more skilled with their photography craft. 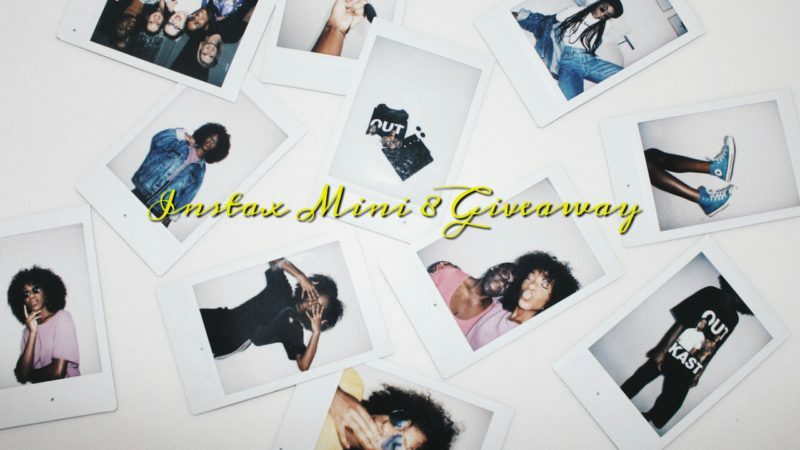 And you might win your own Instax Mini 8 pretty soon. Here are the rules! All you have to do is sign up to my email subscriber list, as these giveaways are for email subscribers only. If you’re already signed up, you’re once again eligible to win this amazing price. If not, make sure you sign up here. You have until January 22nd 2018 to sign up. If you win, I will contact you by email on January 23rd 2018 by 12PM. If not, no worries! Cause as you know by now these giveaway events are annual! Next Post Where Did I Buy My €20,- Puffer Jacket? I’ve been dreaming to have my own instax mini! I hope this will be my chance.? Waaaaaaah really want to buy an instax but school fees are too costly so I am hoping to be lucky on this! Anyway, love your blogs!